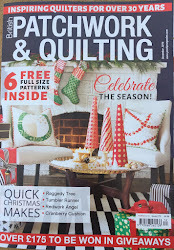 British Patchwork and Quilting Magazine: Bunting.......how much can you make? Thank you for the tutorial, it will would be lovely to see the venue trimmed with bunting. And if the sun is shining it will look even lovelier! How can I get good points after turning the flags right way out! Mine never seem to have nice points!! It's not easy! And if you look at mine in the photos above (the blue stripe ones) they aren't perfect but it doesn't notice in the grand scheme of things. If you trim the point before you turn them right side out, that will help. I also trimmed the side seam allowance a little.